A £10,000 Velocity grant has helped a virtual reality gaming company from Luton to rapidly expand its operation, helping to create five new jobs and safeguarding eight others. AI Solve, formed in 2007, is now bidding to break into the big time with a series of high tech advancements which will change the way we shop and spend our leisure time. The Velocity funding, secured with the help of business adviser Richard Cooper, helped the company bolster their marketing output and improve their website, which in turn has created new opportunities to seal deals with market leaders across the world. The Velocity funding, secured with the help of business adviser Richard Cooper, helped the company bolster their marketing output and improve their website, which in turn has created new opportunities to seal deals with market leaders across the world. Chief Executive Officer Devi Kolli said: “For many people augmented reality is a very new platform but we have been doing it for years. For us it’s tried and tested technology. AI Solve has won a string of industry awards for their products, which include everything from cutting-edge ‘edu-tainment’ software for mini theme parks in Dubai shopping malls to virtual reality training programmes and state of the art point-of-sale merchandising platforms. Devi Kolli added: “We’ve done well to get where we have but now we need to push to the next level. We’ve never really marketed ourselves before but now, thanks to the Velocity funding, we can give it a big push. “We were pointed towards Velocity by Growth Accelerator and we were extremely impressed. Straight away, Richard understood what we were trying to do and found ways to help. The grant has been invaluable and has helped us improve the website which has then had the knock on effect of increasing sales. As a result, we have been able to create five new roles.  The Velocity Growth Grant is available to help SMEs in the South East Midlands grow by implementing business development and growth projects which will create or safeguard jobs and increase sales, productivity or profitability.